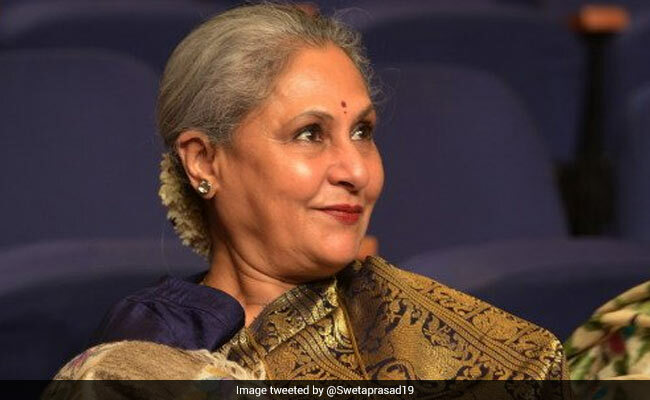 Lucknow: Actor-politician Jaya Bachchan has become a target of another controversial remark just a day after former Samajwadi Party leader Naresh Agrawal, while joining the BJP, described her as "someone who used to dance in films". This time the controversial remarks came from Rajya Sabha member Amar Singh. "Jaya Bachchan and I have moral differences. She is pro-active in parliament, takes her files to Rajya Sabha like a child taking a slate to school, and stays inside the house till the final gong sounds," Mr Singh said at India TV Samvaad Conclave in Lucknow. "One reason behind this is that she is not a mass leader, she dislikes people. If photographers take her snap, she snatches away the camera. If any smelly person comes near her, she says 'keep this dhoti prasad away from me'. She belongs to the elite class," Mr Singh said, news agency IANS reported. Mrs Bachchan was picked last week by the Samajwadi Party as its nominee for the one Rajya Sabha seat the party can win in elections this month. The terms of six of its Rajya Sabha MPs from Uttar Pradesh is ending, but a debacle in assembly elections last year means that Akhilesh Yadav can send back only one. Naresh Agrawal lost that race to Mrs Bachchan and stomped out of his party of two decades to join the BJP. But the party had to issue a disclaimer against his attack on the actor-politician on the very first day he joined BJP, with even union minister Sushma Swaraj calling his comments "improper and unacceptable". On Tuesday, Amar Singh described Mrs Bachchan as a "hopeless mass leader". "As an MP she is good, but as a mass leader she is hopeless. On the other hand, Hema Malini likes meeting people in Mathura, she won her election from there, but Jaya Bachchan can never dream of winning a Lok Sabha election," Mr Singh said. Mr Singh then went on to condemn Naresh Agrawal. "We expected such a remark from him because he belonged to the party where they treat women like this." 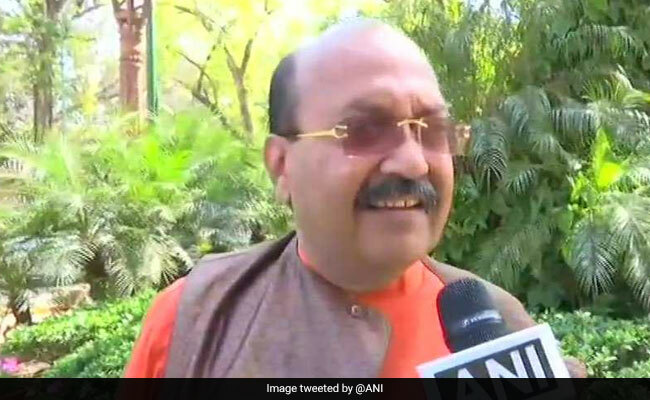 Amar Singh, who had been associated with the Samajwadi Party for a long time, said even BJP's Mathura MP Hema Malini is an actor. "The SP, BJP and even Jaya Bachchan also owe an explanation to the people why they were silent when just two days back party leader Azam Khan launched an uncouth attack on Jaya Prada," Mr Singh said.